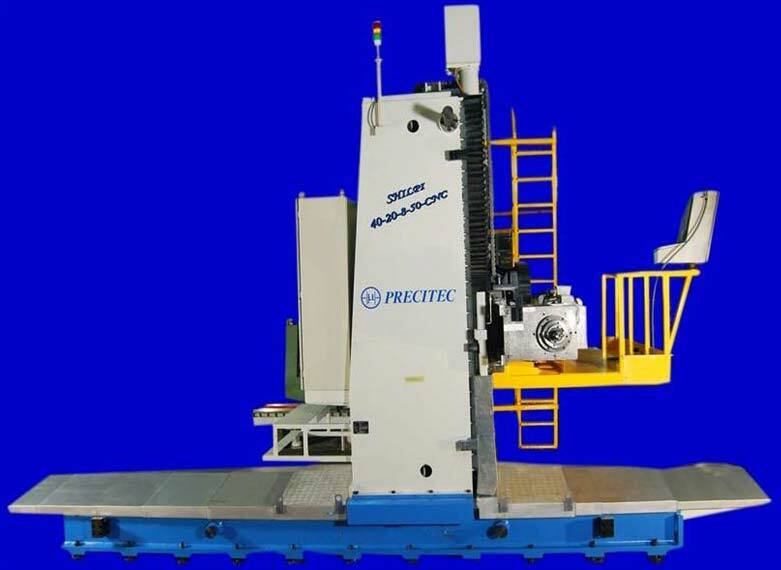 We are an eminent Horizontal Type Milling Machine Manufacturer, Exporter & Consultancy in India The Horizontal Type Milling Machine is a rigidly constructed machine which offers table strokes up to 14m and Vertical Y axis stroke up to 4m. The Horizontal Type Milling Machine is acclaimed for choice of ram designs. The Horizontal Type Milling Machine is suitable for heavy machining like in power plant, process equipment, pressure vessel components etc. The Horizontal Type Milling Machine comes with well designed suitable attachments like right angle, universal, boring and facing. The Horizontal Type Milling Machine features Rigid LM roller bearings for X, Y and Z axis and Ample strokes 1000mm ram and 800mm spindle in 400 sq mm ram size.